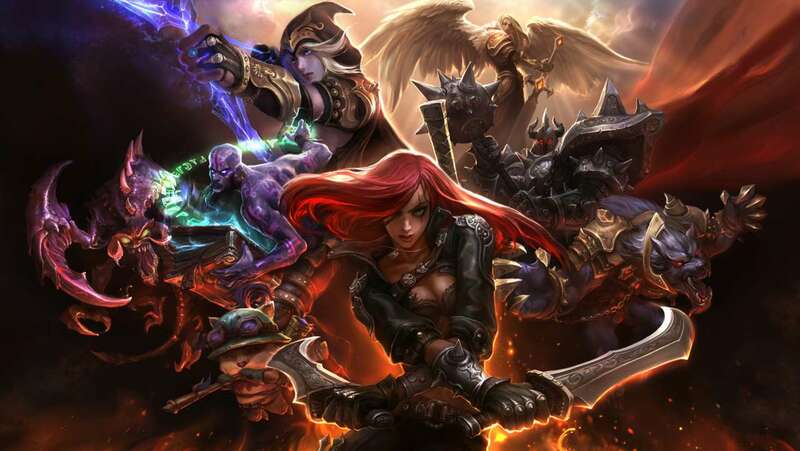 Riot’s New Game, an MMO? Can we just take a minute to think about the possibility of Riot’s new game as an MMO? 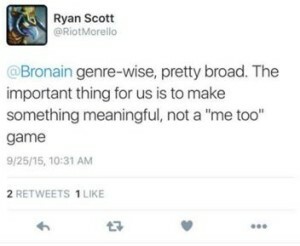 From Twitter (yes, I know not everything on the internet is true), but there’s speculation that due to the new game devs that have joined the Riot Team that it sure will be an MMO. However, lead Dev Ryan Scott tweeted about their upcoming project(s) (Yes possibly plural). His main squeeze to games? First person shooters and turn based strategy games. So it’s still up on the air on what they will be working on. 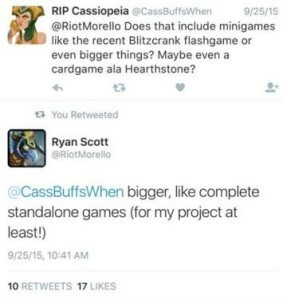 He did say that the game could be more of a stand alone game when a tweeter asked him if it would be like Hearthstone. Finally, he confirmed that we can expect a new game within the next 6 years, as long as his team can keep pushing forward. Make sure you check back for more updates on Riot news along with other gaming updates.